PTPTN or MARA? A very tough question, but first of all, congratulations to all our readers out there whom decided to pursue their study in the tertiary level! And also, we would like to welcome the SPM leavers to this whole new education world. Tertiary level of education is lot different than the previous level of education and of course- it brings tons of experience and most of all, you have to be prepared mentally and financially. Seeing this coming, our government had taken an initiative to create few financial aids channel to help those whom are qualified and would like to pursue their study in the tertiary level. There are actually a lot of financial aids for education field, but, for this entry, I’m going to focus on among the two biggest names when it comes to tertiary level of education’s financial aids: Perbadanan Tabung Pendidikan Tinggi Nasional(PTPTN) and Majlis Amanah Rakyat(MARA). Which is the best PTPTN or MARA? Read on for some answers. First, let us take a peek into what PTPTN is all about. Perbadanan Tabung Pendidikan Tinggi Nasional (PTPTN) is one of the Education Finance Solution that aims to provide educational funds to students in local higher institution. This fund could be in term of full or partial loan that can be a help to the students, financially. Indirectly, this will open more opportunities to students whom wanted to pursue their studies. Applicant must be a Malaysian who is not more than 45 years old at the time of applying. Applicant must also receive the offer from local higher institution that is recognise by Malaysia Accreditation Agency (MQA) and Ministry of Education (MOE). Only stated courses by PTPTN will be funded. Applicant must receive an offer letter to any recognise local higher institution. Then must purchase a PTPTN Pin number from any Bank Simpanan Nasional branches (this pin only valid for 6 months from date of purchased). A must to have an individual account (preferred bank by college/university) and then can start to apply by filling up an online form. Only offers ‘Loan to Scholoarship’ scheme for ‘First Class Degree’ student. Admin charges might apply during payback time (after graduating). Fail to oblige to the payment schedule will caused name to be blacklisted in CRISS. Amount of loan obtained will be according to household income (some students will get full, some will get partial). Majlis Amanah Rakyat (MARA) is an agency under the Ministry of Rural and Regional Development that among its existences; offers a loan to students that wanted to pursue their study in the higher institution. MARA was established on March 1991 and since then, it serves to help the Malay and Pri-bumis to develop their lifestyle in lots of ways. Having said this, MARA scholarship covers not only tuition fees but also life-expenses and other expenses that are a huge benefits when a student succeed in getting a MARA loan. Must be a Malay or Pri-bumi of Sabah/Sarawak. Not in contract of any other scholarship or fund. A must to get ‘Pass’ in Bahasa Melayu subject for SPM/SPMV level. No disciplinary action taken on. Parent’s income must NOT be more than RM80,000 ; annually. Need to wait for the announcement on the MARA scholarship opening, then get the form (online or at the office). Prepare all the documentations required. The officer in-charged will contact applicants for an interview. The results will announce through call or mail. The procedure is very fussy and no more ‘Loan to Scholarship’ scheme, at all. However, students will get discounts in the payback upon graduating (vary according to students’ CGPA). Interviews will be done in English and it is a MUST for applicant to get a ‘Pass’ for Bahasa Melayu subject in SPM/SPMV level. PTPTN or MARA? 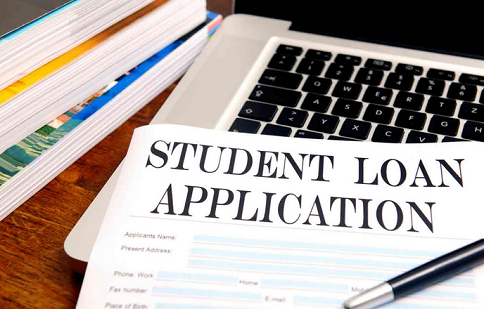 To wrap up this entry, an important reminder to all our readers out there, choosing the right financial aids is very crucial one when you are in tertiary level as you will be needing lots of money here. From paying school fees, to tuition fees to assignment as well as research. However, never be discourage. Do keep up the high spirit in pursuing your education. No matter which loan scheme you choose, always consider the short and long-term consequences.